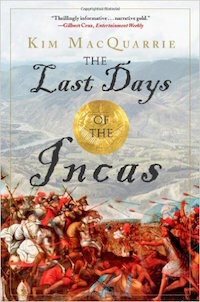 The epic story of the fall of the Inca Empire to Spanish conquistador Francisco Pizarro in the aftermath of a bloody civil war, and the recent discovery of the lost guerrilla capital of the Incas, Vilcabamba, by three American explorers. But in 1927, air traffic was a relatively new phenomenon, especially in the wilds of southern Peru, and when the first planes passed over the sprawling expanse of the Nazca Desert, passengers looking out their windows saw an incredible sight that they could hardly believe. On the baked desert floor, someone had carved broad, perfectly straight Lines that ran for miles. Even more amazingly, some of the Lines twisted together to form the shapes of animals, birds and insects. But when the Lines were investigated further, it was discovered that they were mostly undetectable from ground level. Despite elaborate modern fantasies about aliens and spaceships, the New Age theories have obscured the genius of the Lines’ human creators. In fact, the creation of the Lines was actually well within the technology of the purported builders, and the Lines could be drawn without extraterrestrial excavators. Luckily, decades of dedicated archeology have begun to slowly peel back many of these mysteries, even as new discoveries have opened the door for new questions and new puzzles. To this day, anthropologists, archaeologists and other scholars continue to debate whether the Lines had religious importance, astronomical importance, or were made for entirely different reasons. 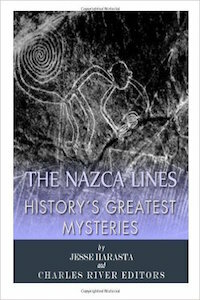 A special illustrated edition of Hiram Bingham’s classic work captures all the magnificence and mystery of the amazing archeological sites he uncovered. 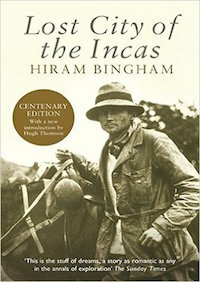 Early in the 20th century, Bingham ventured into the wild and then unknown country of the Eastern Peruvian Andes–and in 1911 came upon the fabulous Inca city that made him famous: Machu Picchu. In the space of one short season he went on to discover two more lost cities, including Vitcos, where the last Incan Emperor was assassinated. The Q’ero are known for having preserved the Inca spiritual tradition more purely than any other indigenous population in the Andes. The in-depth interviews presented in this book recount the direct words of these masters so readers can discover for themselves the mind and heart space of these people. 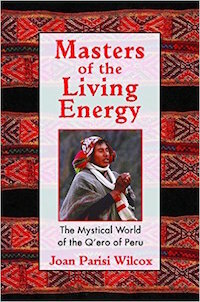 Four new chapters of this revised edition focus on the work of the mesa, the Andean form of a spiritual medicine bundle, and its use as a conduit for the healing energies of nature. The mesa is called the “heart’s fire” because it represents the finest energy–the energy of compassion–that a paqo cultivates while walking the sacred path. Wilcox provides instructions on how to make, activate, and work with a mesa, as well as other practical exercises showing how we can use the power of the Andean spiritual tradition in our own lives. In 1532, the magnificent Inca empire was the last great civilization still isolated from the rest of humankind. 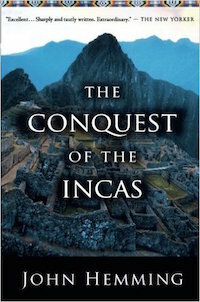 The Conquest of the Incas is the definitive history of this civilization’s overthrow, from the invasion by Pizarro’s small gang of conquistadors and the Incas’ valiant attempts to expel the invaders to the destruction of the Inca realm, the oppression of its people, and the modern discoveries of Machu Picchu and the lost city of Vilcabamba. This authoritative, wide-ranging account, grounded in meticulous research and firsthand knowledge and told from the viewpoints of both protagonists, “keeps all the complex issues to the fore . 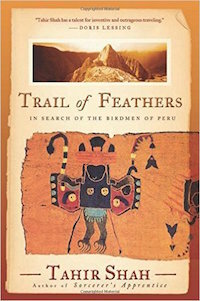 . . the deeper wonder of the conquest and the deeper horror of its results” (Washington Post). 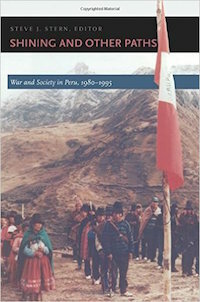 In Unearthing Conflict Fabiana Li analyzes the aggressive expansion and modernization of mining in Peru since the 1990s to tease out the dynamics of mining-based protests. Issues of water scarcity and pollution, the loss of farmland, and the degradation of sacred land are especially contentious. She traces the emergence of the conflicts by discussing the smelter-town of La Oroya—where people have lived with toxic emissions for almost a century—before focusing her analysis on the relatively new Yanacocha gold mega-mine. Debates about what kinds of knowledge count as legitimate, Li argues, lie at the core of activist and corporate mining campaigns. 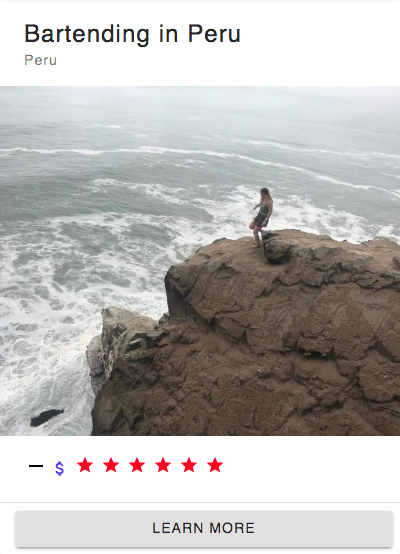 Li pushes against the concept of “equivalence”—or methods with which to quantify and compare things such as pollution—to explain how opposing groups interpret environmental regulations, assess a project’s potential impacts, and negotiate monetary compensation for damages. 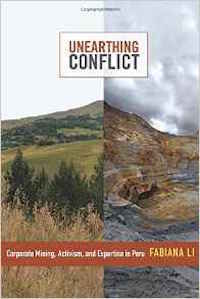 This politics of equivalence is central to these mining controversies, and Li uncovers the mechanisms through which competing parties create knowledge, assign value, arrive at contrasting definitions of pollution, and construct the Peruvian mountains as spaces under constant negotiation. I’ve left him. It’s over. If you still want what we’ve been talking about, I’m ready. When university professor Markus Thorsen reads these words from the love of his life, Marisa, he abandons his work and flies to war-torn Peru, where government forces are battling a brutal insurgent organization known as the Shining Path. 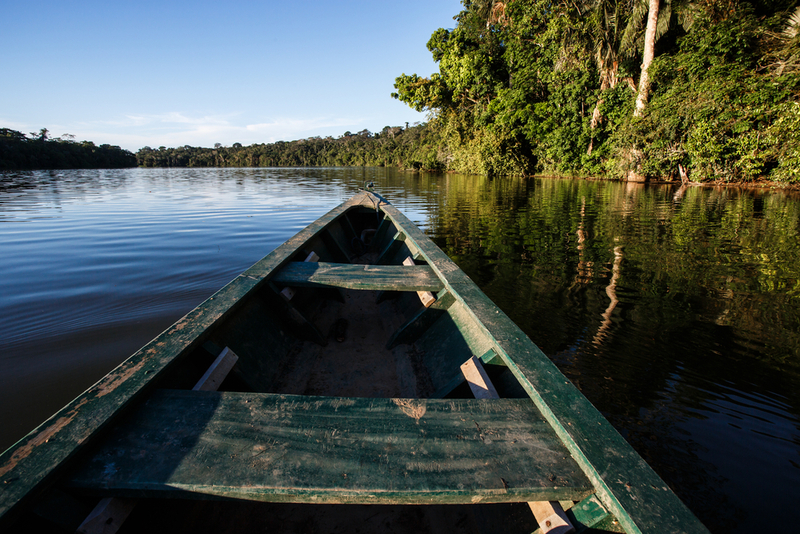 Once there, Markus hopes to whisk Marisa to safety—far away from her Peruvian husband. His plans fall apart as soon as he arrives, however, when a Peruvian general shows up at his hotel room with a host of accusations. Markus has to face the truth: Marisa has connections to the Shining Path. But is her involvement by choice or coercion? Desperate to learn the truth and get her out of the country, Markus sets off on a dangerous journey with Marisa that takes them from Lima to the Andes and on into the eastern jungle. Along the way, they are pursued by counter-insurgency agents, elite soldiers, hostile natives, Marisa’s husband, and even a man with a large jungle cat. 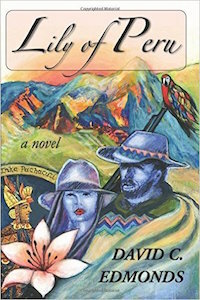 Markus planned on his Peruvian reunion resulting in happily ever after, but now he simply hopes he and Marisa make it out of the country alive. THE ENCOUNTER tells the true story of National Geographic photographer Loren McIntyre who became lost in a remote area of Brazil in 1969, leading to a startling encounter that changed his life. 1969: Loren McIntyre makes contact with the elusive Mayoruna ‘cat people’ of the Amazon’s Javari Valley. He follows them – into the wild depths of the rainforest. When he realizes he is lost, it is already too late. Stranded and helpless, McIntyre must adjust to an alien way of life. Gradually, he finds his perception of the world beginning to change, and a strange relationship starts to develop with the Mayoruna chief – is McIntyre really able to communicate with the headman in a way that goes beyond words, beyond language? 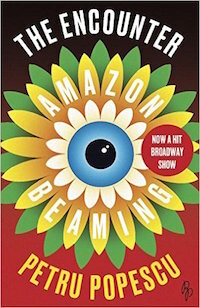 Petru Popescu’s gripping account of McIntyre’s adventures with the Mayoruna tribe, and his quest to find the source of the Amazon, is reissued here to coincide with Complicite’s acclaimed new stage production inspired by McIntyre’s incredible story. The Zills are visiting Peru to study the mysterious lost city of Quwi when Matt and Bibi stumble into an adventure. With only each other, their faithful dog Riley, and an unusual ancient relic to guide them, the twins must use their understanding of patterns and sequences to locate the lost city–and the way back. 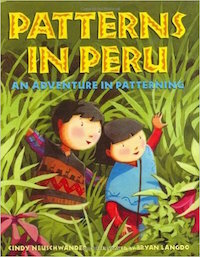 This companion to Mummy Math is a pattern-packed adventure in math that’s perfect for young readers. 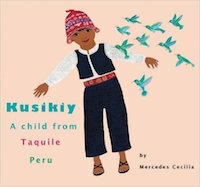 KUSIKIY A CHILD FROM TAQUILE, PERU, by author and illustrator Mercedes Cecilia is a unique story of CLIMATE CHANGE. 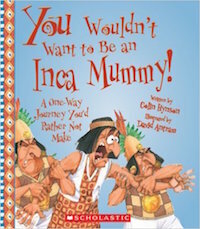 The author created an original myth that draws us into the kaleidoscopic a world of a Peruvian child. KUSIKIY lives in The Andes Mountains of Peru in a small island in Lake Titikaka. 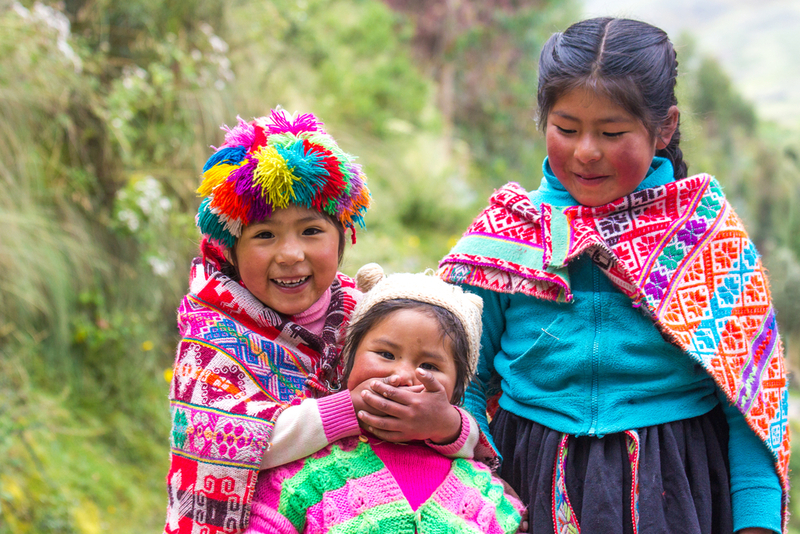 In the peaceful community of Taquile, Kusikiy’s father cultivates potatoes and Quinoa; his mother, like her mother and grandmother, weaves traditional designs into her textiles recording the important events. Children easily identify with Kusikiy’s love for family and his concerns for the effects of climate changes on Mother Earth, as well as with his desire to be of help to his town. 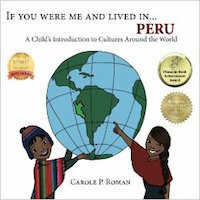 This is a book that gives parents and educators a visual and appealing way to engage children in a dialogue about traditional cultures, the meaning of community, sustainability and caring for our environment. The United Nations announced in 2013 that Peru has overtaken Colombia as the world’s top producer of coca, the raw plant material used to manufacture cocaine. For the past two decades, Colombia has been virtually synonymous with cocaine. Now that Peru has become the global epicenter of cocaine production, the Andean nation runs the risk of becoming the world’s next great narco state. The Inca Empire, also known as the Inka Empire or Incan Empire, was the largest empire in pre-Columbian America. The administrative, political, and military center of the empire was located in Cusco in modern-day Peru. The Inca civilization arose from the highlands of Peru sometime in the early 13th century, and the last Inca stronghold was conquered by the Spanish in 1572. The fascinating story of Peru’s savage 20-year civil war and struggle against the psychotic Maoist guerilla movement ‘Sendero Luminoso’ (The Shining Path) under the demonically charismatic maoist fanatic Abimael Guzman, aka Chairman Gonzalo and how he nearly destroyed Peruvian society. 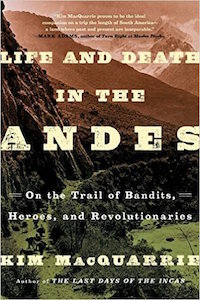 For 13 years Guzman and his marauding band of maoist thugs waged a relentless war of indiscriminate terror against the civil population both in the countryside and the cities. Backed by media and big business, President Alberto Fujimori cyncially exploited the war and panic to assume authoritarian powers and used emergency anti-terror powers to eliminate and silence opposition long after the terrorist threat had passed. Film is a powerful reminder and warning of how terrorism can turn a nation in on itself and tears at the fabric of society turning neighbour against neighbour and how those who fight it become as brutal and ruthless as the terrorists and can destroy the democracy it claims to protect. It also describes the aftermath and fall of Fujimori and subsequent efforts to bring about reconciliation and closure to a traumatised nation and his successors. Earth Focus profiles the new film Amazon Gold that depicts the apocalyptic destruction of the rainforest in pursuit of illegally mined gold and the health impacts of mercury pollution, a by-product of gold mining. Amazon Gold reaffirms the importance of the rainforest as a repository of biological diversity and the global implications of its destruction. People&Power looks at the reinvention of the Maoist guerrilla group in Peru, and its links to the narcotics trade. 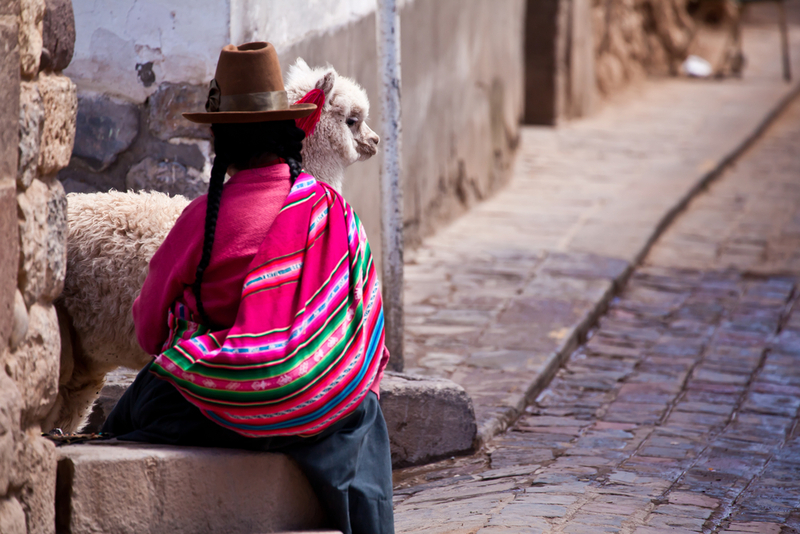 In Peru Andean women are speaking of a brutal Programme of forced sterilisation. The Amazon rainforest, also known in English as Amazonia or the Amazon Jungle, is a moist broadleaf forest that covers most of the Amazon Basin of South America. This basin encompasses 7,000,000 square kilometres (2,700,000 sq mi), of which 5,500,000 square kilometres (2,100,000 sq mi) are covered by the rainforest. This region includes territory belonging to nine nations. The majority of the forest is contained within Brazil, with 60% of the rainforest, followed by Peru with 13%, Colombia with 10%, and with minor amounts in Venezuela, Ecuador, Bolivia, Guyana, Suriname and French Guiana. States or departments in four nations contain “Amazonas” in their names. The Amazon represents over half of the planet’s remaining rainforests, and comprises the largest and most biodiverse tract of tropical rainforest in the world, with an estimated 390 billion individual trees divided into 16,000 species. The documentary “Memory Walkers” is a portrayal of distinct post-violence scenarios in Peru. Victims, perpetrators and other actors, in an environment that remains hostile, begin to address their responsibilities and the painful memories caused by the internal armed conflict. The marinera is a dance of pair of extraordinary beauty, that represents a universal subject: the courtship of love. “In the monuments of Markawasi we have a mirror to view our own soul. Essentially the stones and cliffs of Markawasi are like a huge Rorschach test. Among the forms that various people, including Ruzo and others, have identified at Markawasi are men and women of various races and nationalities, from native South American to Semitic to African; mostly these are facial profiles, but some of the figures consist of standing forms or reclining forms. Along with people are a diverse array of animals such as horses, camels, elephants, lions, frogs, seals, turtles, sphinxes, a hippopotamus, sea lions or seals, a crocodile, lizards, and many other forms. 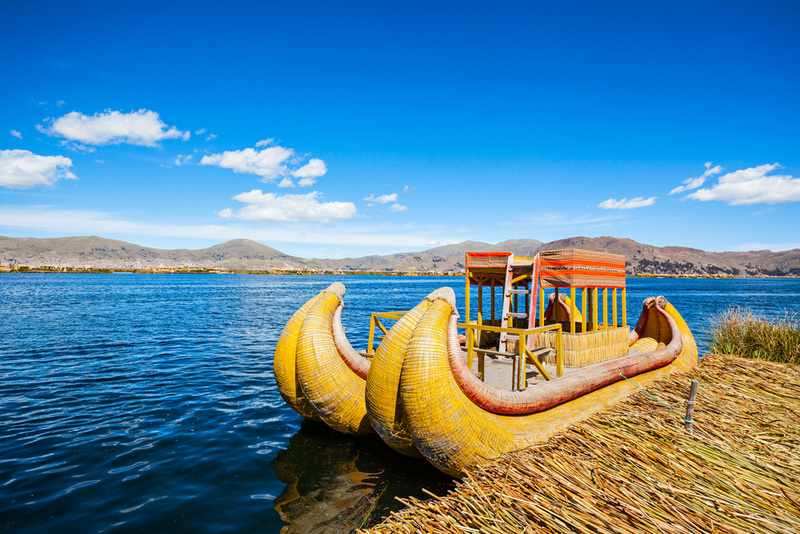 The Uros people inhabit 56 man-made islands floating on Lake Titicaca, made from the Totora reeds that grow there. The only community of its type to exist into modernity, this documentary presents a unique insight into a vanishing, pre-incan world. Unreported World travels deep into the Peruvian jungle to investigate how the government’s auctioning off vast tracts of the Amazon rainforest to global corporations has led to violent clashes with thousands of indigenous tribal people. This documentary one first prize at the Madrid Film festival in 2016. The Shining Path is the popular name for the Peruvian Communist Party. Branded as a terrorist organization by the US, European Union, and Canada. This organization continues to struggle towards the overthrow of the government and the establishment of pure communism in the country and eventually the world. Recently, their longtime leader was captured. Who are the Shining Path? Where did they come from? What are their stated goals? What are their methods for achieving these goals? Describe their fight and the results of the conflict thus far? Have they accomplished any of their goals? What has been the human cost thus far? What has been the reaction and action of the Peruvian government? What is public opinion about the group and their goals and methods? Compare and contrast the Shining Path to other communist insurgency groups (both past and present). (Hint: Cambodia, Nepal, Vietnam.) Do you think the label of “terrorist group” is justified? Mining is a major industry in Peru. We hear a lot about the illegal gold mines in Peru, the destruction of the rainforest, and the human cost of these operations. But there are other resources being pulled out of the ground in Peru and these are significant contributors to the GDP of the nation. 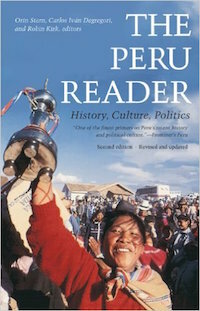 Examine the mining industry, in general, in Peru. What is being mined? Where is it being mined? What are these resources used for, locally and globally? What is the ecological cost? Are there industries that are more, or less damaging in their practices? Are there any mining success stories that can be pointed to? Which products are we using that are directly linked to Peru’s mining industries. Or, take a look, specifically at one mining industry and examine the cultural, ecological, economic, political, and industrial impact. Of particular interest in the news in recent years is the illegal gold mining in the Amazon. Are there major differences between illegal and legal mining? If so, what are they? Tell the human story in depth, by interviewing or researching the lives and experiences of individuals. How is the Peruvian government working to crack down on illegal mining? What has been the human impact on the rainforest, historically, and within the last century? 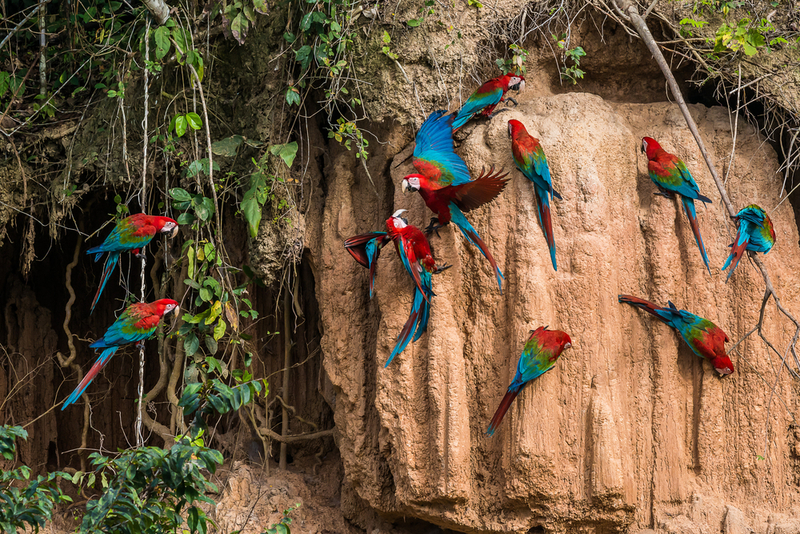 What are the important resources that we all rely on that are linked to the rainforest? In what ways is the rainforest measureably declining? How is climate change affecting the rainforest? How is the Peruvian government protecting (or not) the Amazon? Are there local, or grassroots, initiatives underway to reverse the damage or conserve what is left? What are the current major threats to the Amazon in Peru? Are there ways that the average person can help? Human trafficking is a major problem in Peru. One of the biggest offenders is the illegal mining trade. Young girls are brought in from the highlands, promised domestic jobs, and instead forced into prostitution. Learn about human trafficking in Peru. Which are the most vulnerable populations? Which industries are supporting the trade? What is the government response and action towards this problem? Are there local, or grassroots initiatives that are working to free individuals? Tell some success stories? What work most needs to be done in order to prevent and reverse trafficking at the community and individual levels? 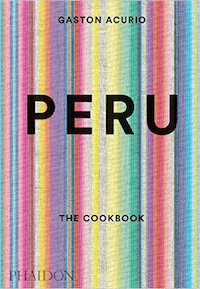 Peru has an interesting food heritage. It is one of the places where corn was slowly bred from it’s ancient form into something resembling the modern grain and there are dozens of strains still grown in Peru, there’s even a drink made of purple corn. Quinoa originates here and has been a staple for Peruvians for generations. Cuy is a staple meat, guinea pig, farmed in most rural homes. Alpaca is raised for pack animal, wool, and the dinner table as well. Eat bravely in Peru. Try the things you haven’t seen before and try the meats that seem strange to you. Why not collect some recipes or try making some when you get home. 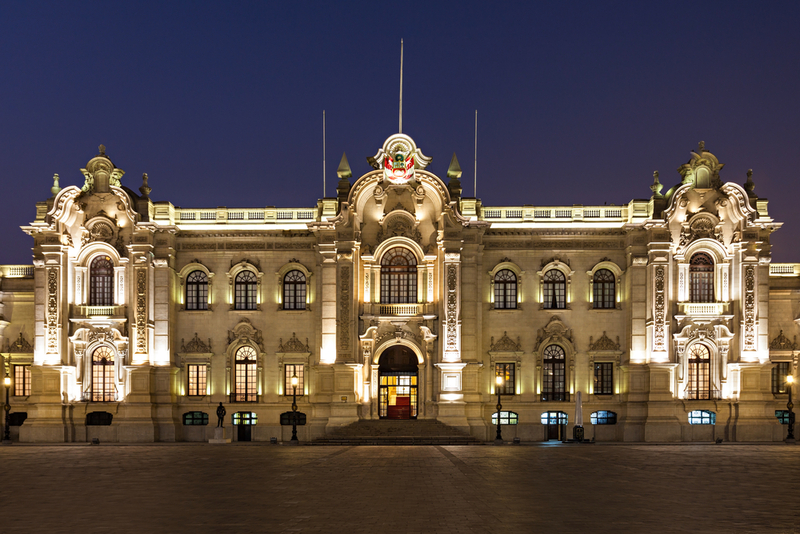 There are a number of museums in Peru that are worth a visit. There are also archeological sites that beg to be visited. 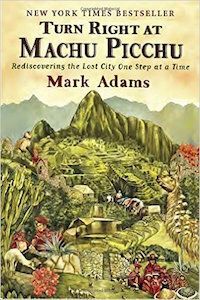 Everyone has heard of Machu Picchu, but it’s only the most famous of many. Be sure to attend as many as possible. The more of Peru’s history you experience first hand, the more modern Peru with grow in depth. 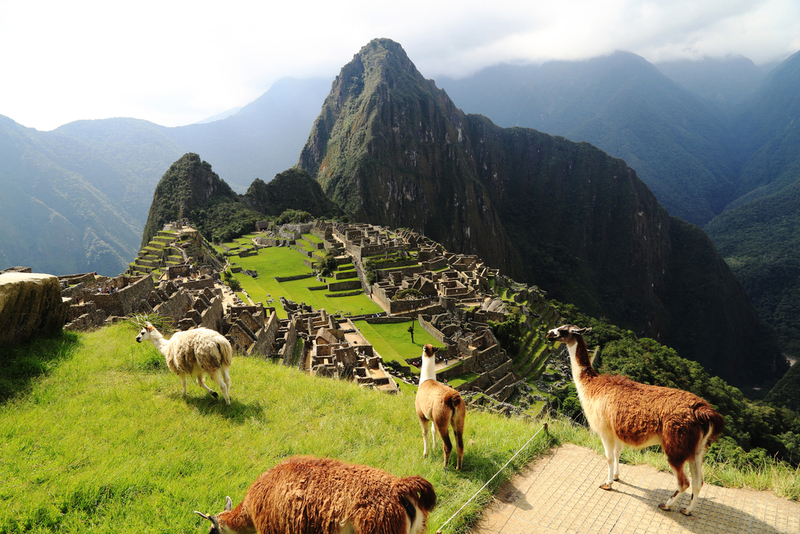 If you’re looking for a list of volunteer opportunities in Peru, Transitions Abroad has one. Please be advised that TAP is not recommending these, only presenting them as a list of possibilities. Vet your volunteer options carefully. Challenge yourself to take every type of public transportation available while you are in Peru. Create a photo essay or videologue of your adventures. What did you learn? 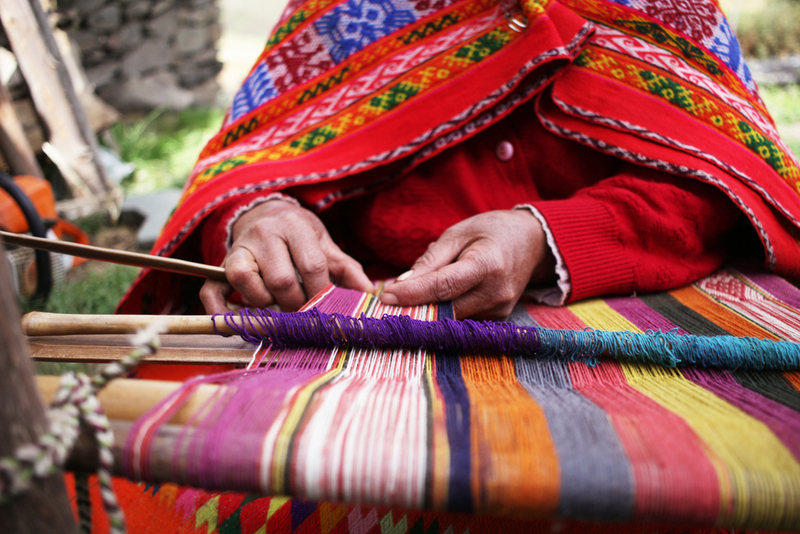 Peru is home to many religious traditions, many of them grown from indigenous roots. Shamanism is still practiced widely. Ayuhuasca is used to open spiritual awareness by shamans in the Amazon. The Q’ero are keepers of a knowledge that the rest of the world has lost and are deep mystics. With the arrival of the Spanish conquistadors came Catholic missionaries. Catholic cathedrals and basilicas grace the square of almost every village, no matter how small. There are also smatterings of protestantism, and many missionary churches still being “planted” throughout the country. Take some time to attend various religious observances and see what you can learn. Don’t be afraid to ask questions. 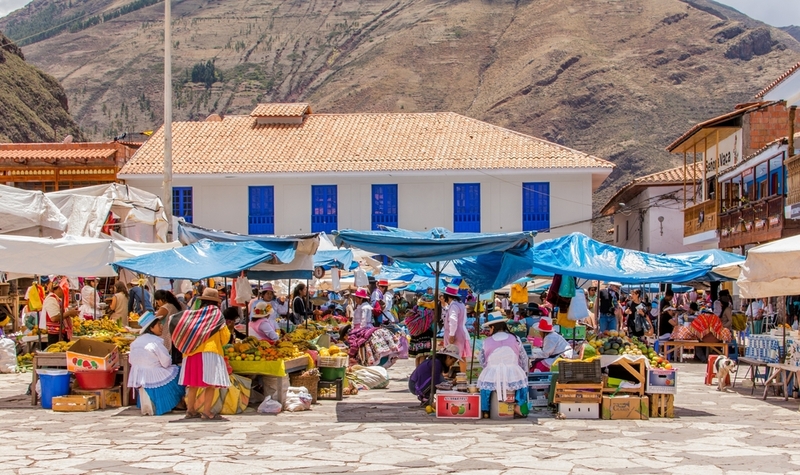 How does the religious climate in Peru compare with what you grew up with? For more Gap Year inspiration check out our partners, No Crap Gap Guides.